Politically charged hip hop legends, Flavour Flav, Chuck D, Terminator X, Professor Griff and Gary G-wiz were cultivated in Long Island, New York, but are now a house hold name across the globe. 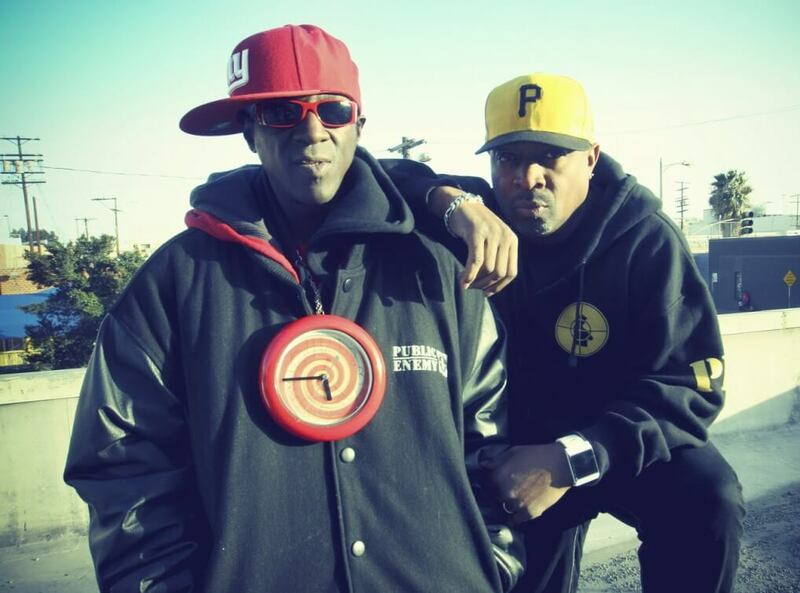 A group whose musical style and incendiary delivery have earned them critical acclaim and millions of fans throughout their career, Public Enemy continue to blaze musical and technological trails with the release of albums like Beats And Places. The group burst onto both the rap and pop music world in 1987 with their first single ‘Public Enemy #1’, a startling combination of Chuck D’s commanding orations, Hank Shocklee’s layered cacophony of musical noise, and Flava Flav’s show-stopping antics to keep the message entertaining. A month later, the group released their debut album Yo! Bum Rush the Show. Shortly after, they recorded Rebel Without A Pause, which would herald a new era of rap with layers upon layers of samples, sirens and general chaos. The world responded positively and Public Enemy became international stars overnight. The classic It Takes a Nation of Millions to Hold Us Back was released in 1988, and was considered to be one of the most important records ever released, voted as #1 rap album of all time. Many more albums have followed including Muse-Sick-N-Hour-Mess-Age, Greatest Missea and more, with singles such as ‘More News at 11’, ‘Shut Em Down’ and ‘Letter to the New York Post’ all confirming their place at the top of the international rap pile.